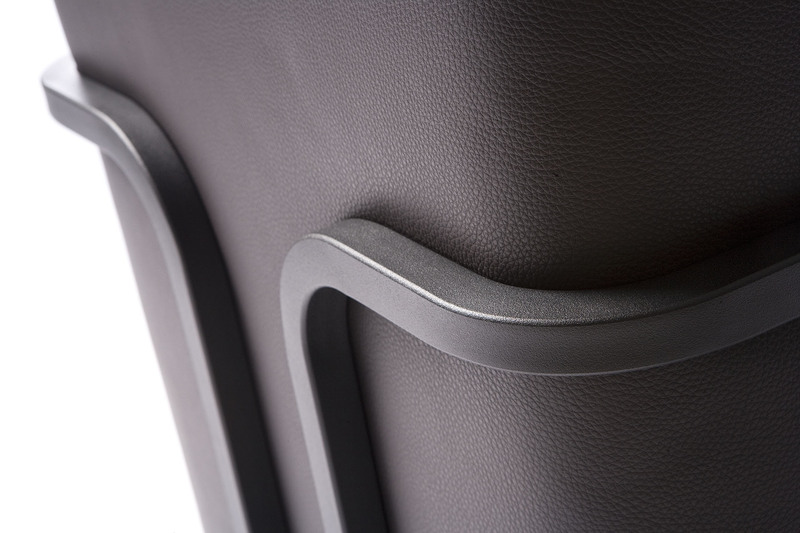 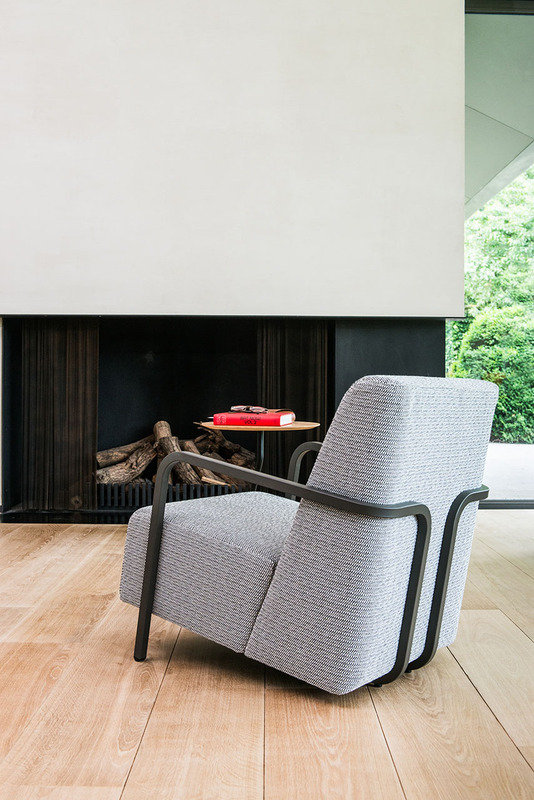 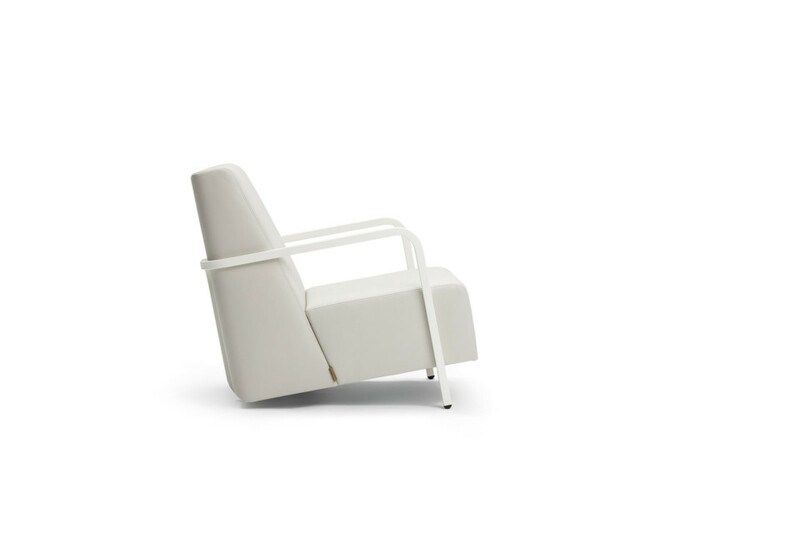 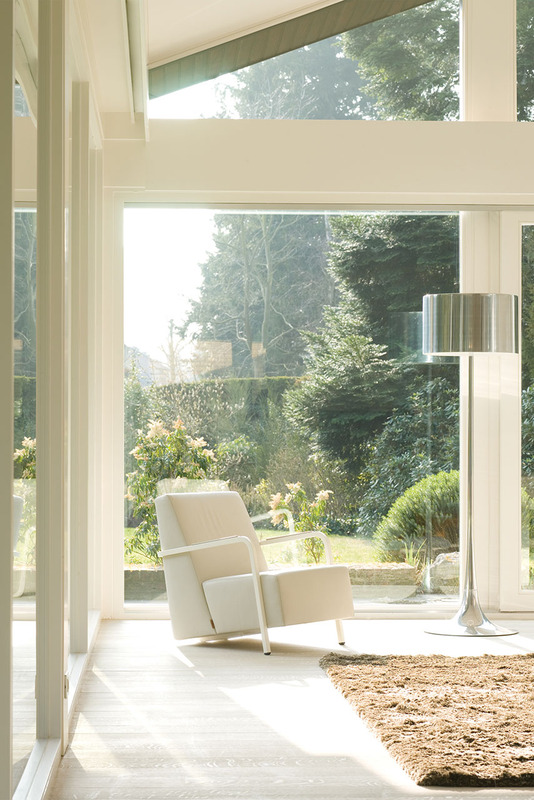 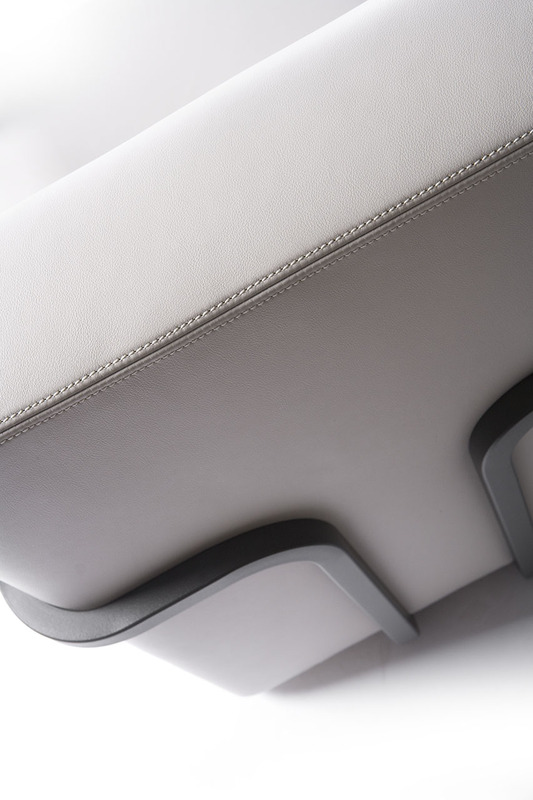 The BERTUS chair distinguishes itself by its outer frame. 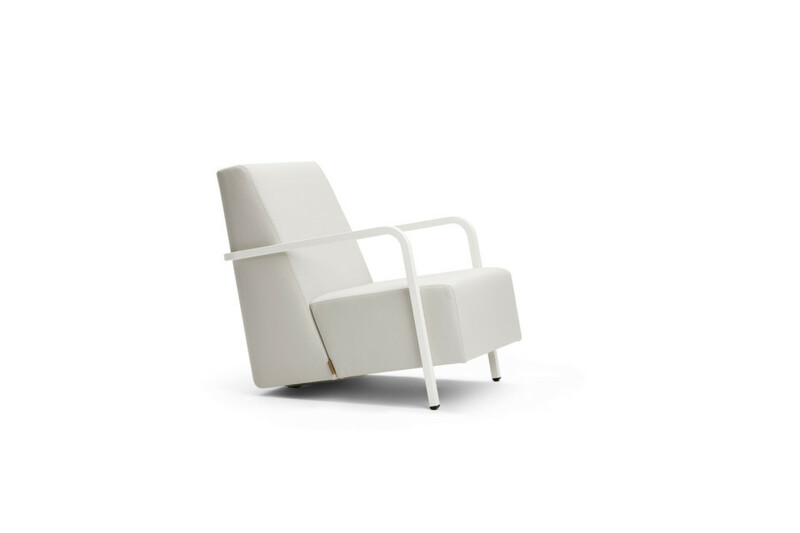 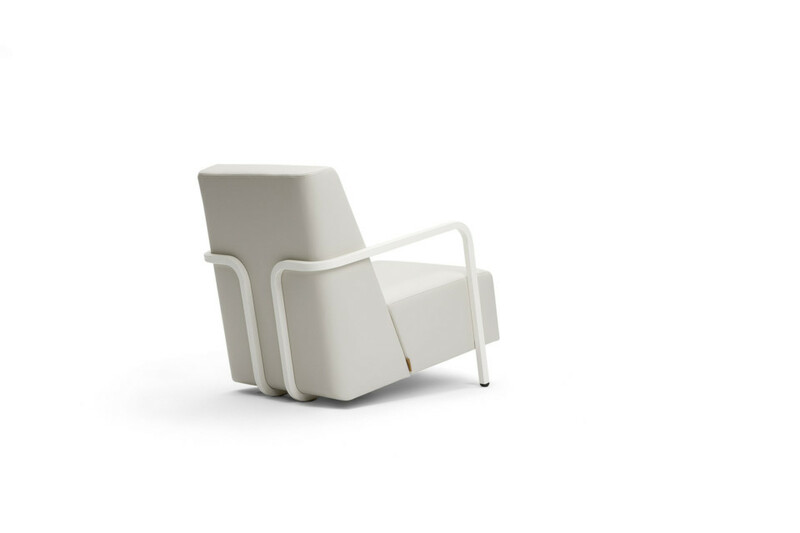 Not only this remarkable design has constructive functions, the frame also serves as arm rest, as supporting element and as aesthetic feature. 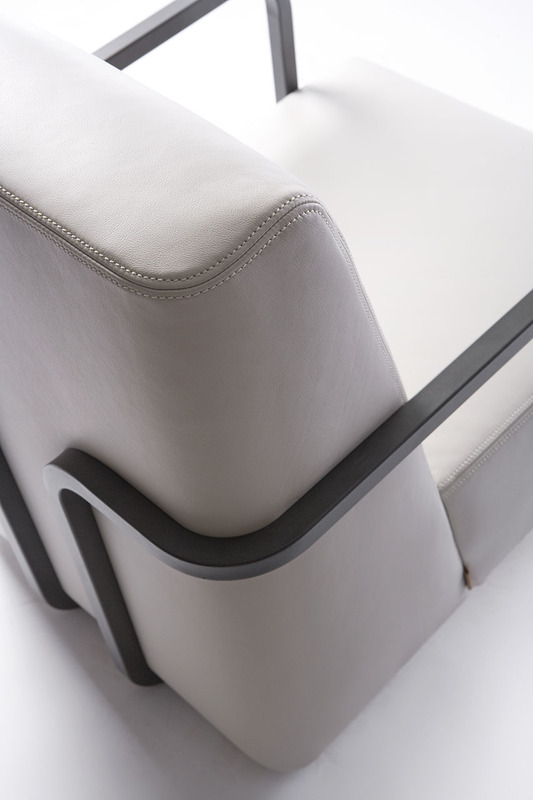 The fluent metal pipes literally capture the cushions which have a double ornamental stitching finish that discretely accentuates the lines of the design and the frame. 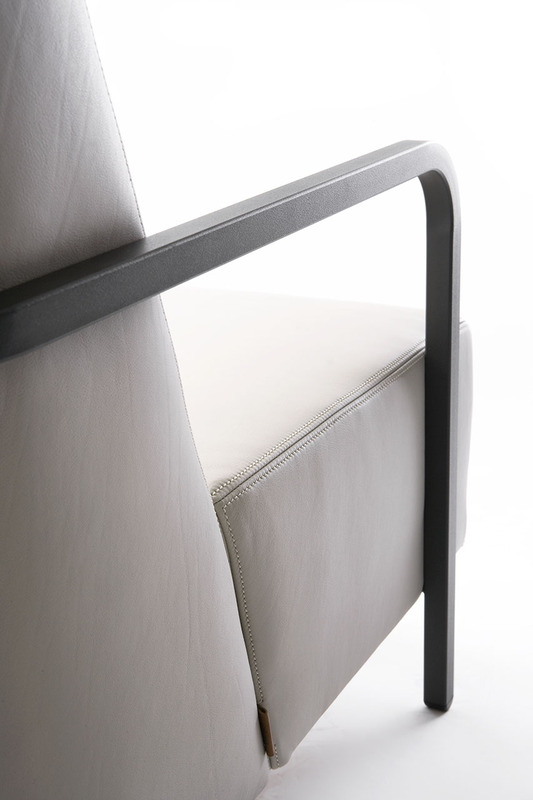 BERTUS is available with a choice of three frame colours: black, white and dark grey.